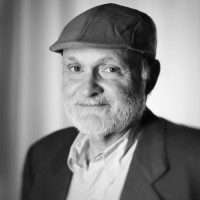 Dr LAZZARO’s experiences perfectly illustrate the unique medical expertise, as well as the scientific excellence that drives his professional career. Domenico lead the “In Vivo Drug Efficacy” group of Merck Research Laboratories for 16 years where he developed animal models to test cancer vaccine efficacy for human therapies as well as anti-tumoral small molecules and therapeutic antibodies. He also developed IHC based companion diagnostic tests for cancer targeted therapies. 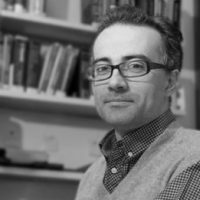 Domenico was Professor of Cancer Ultrastructural Pathology at the University of Tor Vergata (Italy), contract professor of immunopathology at the Department of Public Health University of Foro Italico in Roma (Italy) and also established his experience at the European Molecular Biology Laboratory in Heidelberg (Germany). Oncology, Biomarker evaluation, Drug discovery, Drug Efficacy evaluation, Immunohistochemistry, In Situ Hybridization, Lazer Capture Microdissection. Dr. Pierre LEFESVRE pathologist (MD-PhD) carries a strong record in tumor molecular diagnostic. Head of the Molecular Pathology – Hematopathology group at UZ Brussel since 2005, he manages and implement tissue innovative biomarkers (IHC, FISH, CGH) in the area of Immuno-oncology. He is also specialist in next generation sequencing. In addition to his peer’s recognition in the academic world Dr. LEFESVRE successfully founded several biotech companies during his career. He collaborates with HISTALIM on the topics related to innovative therapies and personalized medicine, particularly against circulating tumors, and brings its translational expertise of the clinical development. Biomarkers, Immuno-oncology, clinical pathology, IHC, FISH, NGS, CGH. Dr John COYNE is a medical pathologist from Ireland. He has a vast experience in the diagnostic of breast cancer as well as kidney, urology, gynecology, and skin pathology. Consultant for several university hospitals in the United Kingdom (Royal Oldham Hospital, Hospital of Coventry) he is also Associate Professor at University Nice Côte d’Azur (France). Dr COYNE is also a founding member of several UK national committees against breast cancer. Histopathologist, digestive surgery, gynaecology, urology, skin pathology, breast pathology. Jérôme CROS MD PhD is graduated of Paris Hospitals Group (FR) and Mount Sinaï School of Medicine (NY). He is also a renowned university lecturer. 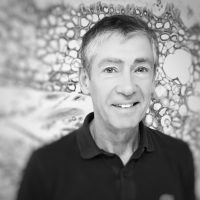 Specialist in Anatomy Pathologic and Pancreatic Pathology, Dr CROS has a great expertise in exocrine and neuroendocrine pancreatic tumors, including predictive biomarkers with targeted therapies. Pancreas cancer, molecular pathology, predictive biomarkers. 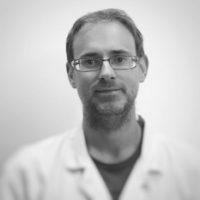 Dr Maxime BATTISTELLA is Assistant Professor in Pathology at Université Paris 7- Hôpital Saint Louis. 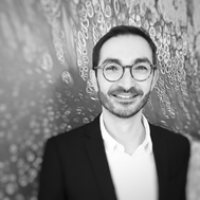 Graduated in Dermatology, Immunology and Oncology, he is board certified in Dermatopathology, and member of the French Society of Dermatology, the French Society of Pathology, the European Academy of Dermato-Venerology, and of the International Society of Dermatopathology. His clinical experience and his research work confer him expertised skills in the field of cutaneous pathology, tissue biomarker characterization and tissue evaluation of innovative therapeutics. He is also regional a expert for the Rare Cancers networks of INCa : CARADERM (Dermatological Rares Cancers), RRePS (Sarcomas), GFELC (Cutaneous lymphomas). Dermatology, pathology, therapeutic innovation, oncology, immunology. 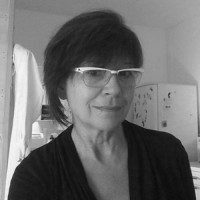 The medical pathologist Ghislaine DASTE has developed an extensive experience in design and validation of in vitro diagnostic tools. Her competencies in molecular biology, analytical and quantitative cytology, and in clinical research allow her to take charge of large and complex multi-parameter assays, especially in oncology. In vitro diagnostic, clinical research, multiparameter assays, analytical cytology, quantitative cytology.